We often get asked for fault finding tips and so I’ve put together a simple fault finding guide for a load cell system. In the previous blog we discussed the load cell part of the system, in this post we discuss the signal conditioning part of the system and provide a summary…. 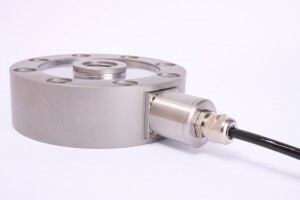 If we measure the excitation voltage without the load cell connected we can check that it is the correct value for our load cell. A lower excitation voltage will give a smaller full scale reading but should still work correctly. 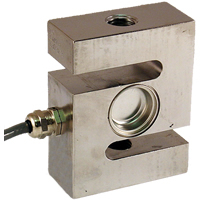 A higher excitation voltage could cause the load cell to overheat and alter its characteristics. (If we then measure the excitation with the load cell connected this could show up other potential issues). We should also ensure that there are not too many load cells connected. Check the total resistance of the load cells either by calculation or measuring with a multimeter. 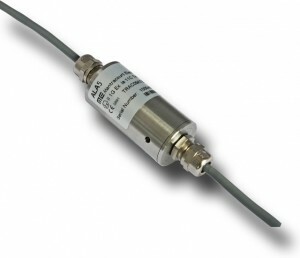 Four 350 Ω load cells in parallel will drop the resistance to about 85 Ω. Check the specification on your signal conditioner to see what the minimum load is. The next check on the list is to short between the inputs on the signal conditioner. This will simulate a load of zero and should give a zero output (with gain and offset set to one and zero respectively). Some signal conditioners have a shunt cal function. This shunts the output by a fixed value to check the integrity of the load cell, wiring and signal conditioner. If there is any deviation from the last time shunt cal was performed then further investigation is required. If shunt cal is left on then it will completely mess up any real readings. Please note that the shunt cal should never be applied without the load cell connected. If you have a 6-wire signal conditioner with a 4-wire load cell it is important that you link the sense and excitation terminals at the signal conditioner. Otherwise there will be no sense input and therefore no reference point for the signal conditioner. (If you have a 6-wire load cell with a 4-wire signal conditioner it is worth linking the sense and excitation as this will reduce the overall wire resistance). Check the output from the signal conditioner is what the display needs as its input. Some signal conditioners can output several different protocols which need to be set up correctly. Check that the positive direction of the load cell corresponds with the positive reading required. Ensure that gain and offset are set correctly. It may be necessary to try recalibrating at this point if necessary, see the relevant manual. Depending on your setup this could be an absolute nightmare so should be held as a last resort. The output cabling checks are very similar to the load cell cabling but will be marginally less prone to noise. Most of the topics that I have covered here are very complex and I have barely scraped the surface. I’ve only very briefly touched on the output and display sections of the system which will be discussed in future blogs. Check the signal conditioner has the correct power supply. See the relevant manual. Hopefully this has given a helpful starting point for fault finding load cell systems. Can you e-mail me this document in a word format along with your logo in .jpg format?